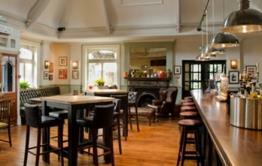 The Bull is located in the historic village of Long Melford, in Suffolk. 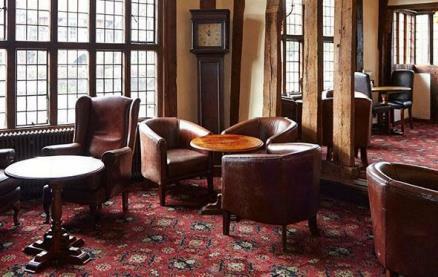 A fine timbered house, the hotel was originally built in 1450, with its history evident throughout. Moulded oak beams, open fires and carvings are complemented by period furniture – it’s the perfect setting for a weekend break or special occasion. 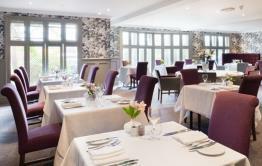 The 25 bedrooms reflect the building’s original style, offering a warm and homely stay. Two restaurants, the Cordell and the Kentwell, offer many delicious dishes from the seasonal menus and cream teas can be served in the bar or courtyard. The Bull can take care of your complete old English wedding day, from the ceremony to the reception. Contact the wedding co-ordinator on site for more details on how they can make your day truly special.With large meeting room facilities, including free wi-fi, the Bull can cater for up to 100 people, so why not escape the normal 9-5 routine and book your next meeting. 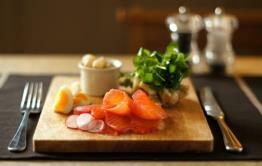 Be the first to write a review and share your experience at The Bull (Long Melford) with other diners.